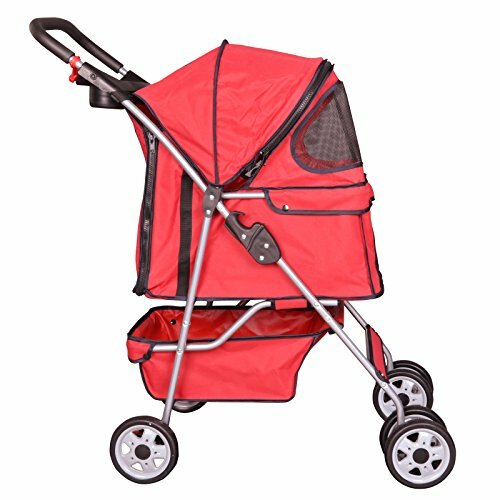 Now you are looking at Red 4 Wheels Pet Stroller Cat Dog Cage Stroller Travel Folding Carrier 04T which is one of our many available strollers from the manufacturer Bestpet. 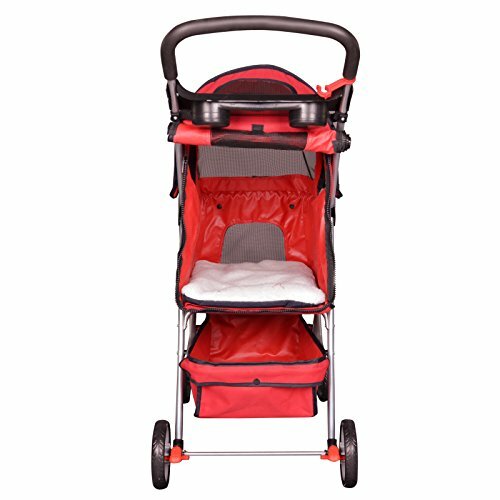 Order this wonderful stroller now or browse through our store for other similar options. She's your baby, your faithful companion, your trusted confidant, and - above all - an integral part of your family. He's there for you no matter what, and looks to you for guidance, care, comfort and affection. And wherever you go, she wants to be there as well - whether it's on a walk, shopping, running errands, or traveling. 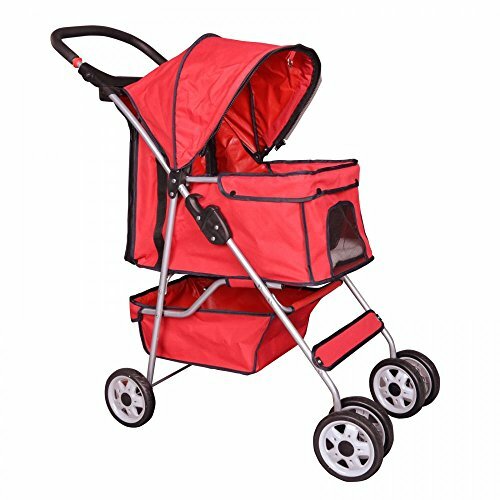 That's why we developed our luxurious, sturdy and spacious pet strollers. 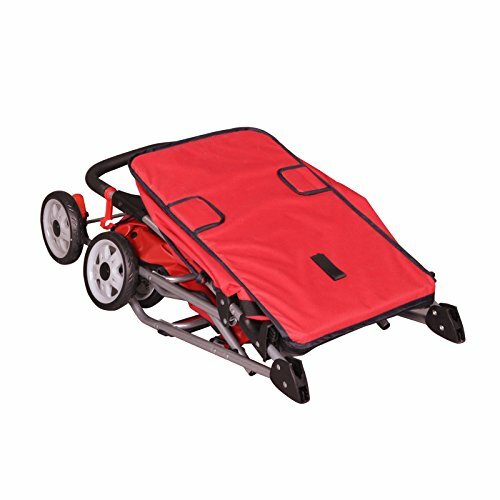 Designed with plenty of space for a medium or large pet, or for housing several smaller furry friends, our durable carriers are also well-suited for dogs and cats that are older, sick, disabled, or recovering from medical procedures. 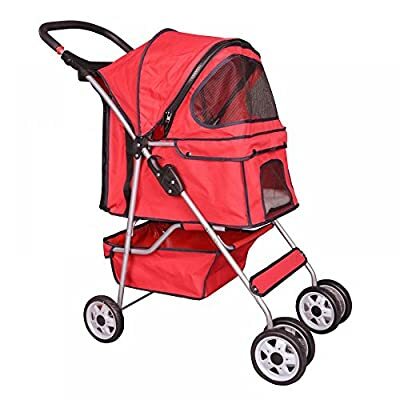 With the pet stroller your forever friend can travel in style and comfort, enjoying fresh air, invigorating smells and interesting sights - and knowing that you're right there with them, every step of the way.